Oxygen is vital to our body's healthy functioning - it fuels all our body's system, fires our body's chemical reactions and eliminates toxins and wastes of our body. 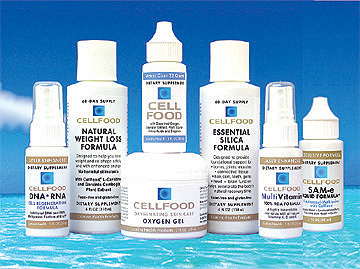 Cellfood enhances bioavailability of oxygen to our body through its unique feature to dissociate water molecules within our body, which results in the release of abundant nascent oxygen and hydrogen to the cells directly. Eletrolytes support the healthy electrical integrity of the body's natural colloidal systems including the blood. They impart a negative charge to the red blood cells, separating them to restore their maximum functioning.